He received his degrees in Economics and Engineering at the Universities of Cologne and Saarbruecken. 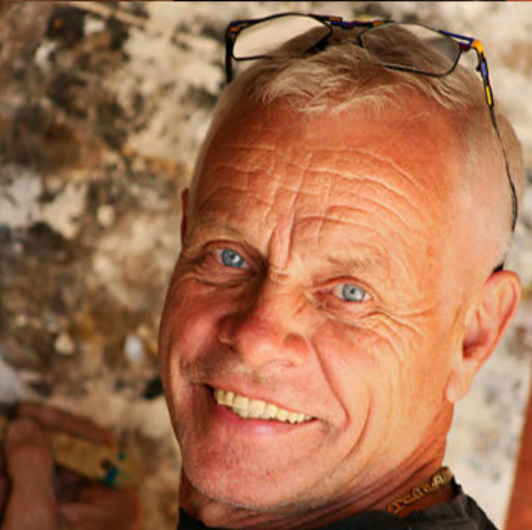 Having worked in Germany, Italy, Turkey, South America, Africa and the US, he is now exploiting his passion for world travel to enhance his art. Horst blends his life experience with a big heart and artistic imagination, using his hands along the traditional brushes and palette knives. This creative process results in a powerful multi-layered “three dimensional Art”. Horst invites the viewers: “Please touch my Art”. His unique creations are tactile, so that also the blind and visually impaired are welcome to touch and more importantly feel included …” Even hands can see”.